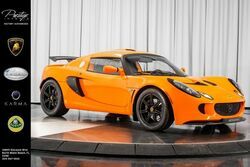 From its inception more than seventy years ago, Lotus has strived to deliver a pure driving experience, and the current model lineup -- highlighted by the Elise, Exige and Evora -- delivers on this promise. From its in-house engineering to the eventual handbuilt construction, the British craftsmanship is uncompromising and truly elite. Now, at Prestige Imports, North Miami Beach drivers can enjoy the design and performance of a Lotus sports car for themselves. 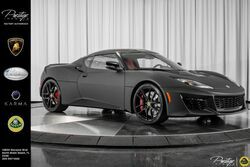 Each Lotus model is highlighted by mid-engine placement and rear-wheel drive, while supercharged power platforms are elemental to the performance of the brand. Meanwhile, by implementing the latest technologies and materials, the envelope continues to be pushed in directions that make Lotus models more fleet-of-foot and lighter where curb weight is concerned. To experience the difference in a Lotus sports car for yourself, visit us today at Prestige Imports in North Miami Beach, FL. Since its creation in 1952, Lotus has specialized in the production of sports and racing cars, and its United Kingdom heritage is evident in the sophistication and perfection found in each and every model. 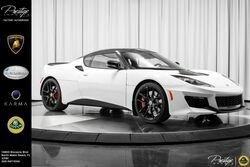 All current production Lotus models -- the Elise, Exige and Evora -- boast mid-engine placement and rear-wheel drive, while the Evora is the lone production model to offer a 2+2 seating configuration. Lotus has long been known for ultra-quick acceleration and poised aerodynamics, and this continues in the modern era with supercharged engines available on all current production models.